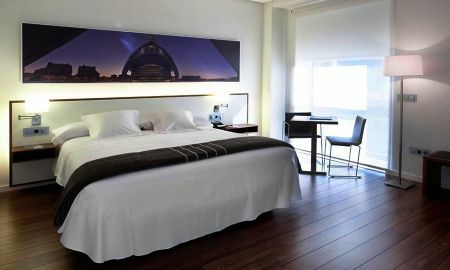 Primus Valencia is an elegant hotel with cozy, bright, completely soundproofed, furnished in a modern style rooms. 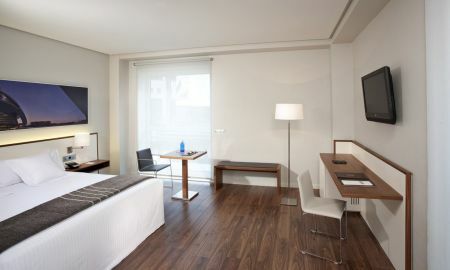 All rooms face the exterior and their décor is characterised by relaxing colours and elegant and warming furnishing. Primus Valencia’s restaurant proposes modern touches of Mediterranean dishes to its guests and the café offers a panoramic view over the covered garden. Enjoy the magnificent ATRIUM Lounge terrace. 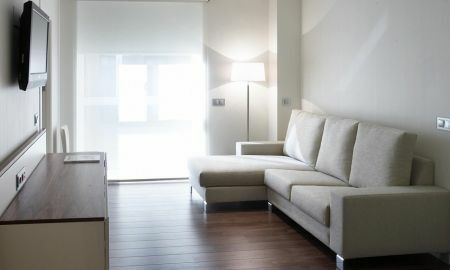 With an area of over 2,000 square metres, this is the best place to relax, take a morning coffee or an evening drink. The Primus Hotel comes with a fully equipped spa, which can be accessed to guests above 16 years and available with an additional fee. The spa includes a dynamic pool, cold water pool, Jacuzzi, sauna, hammam, fitness centre, an exterior pool, open during summer, as well as cabins for massages and beauty treatments. 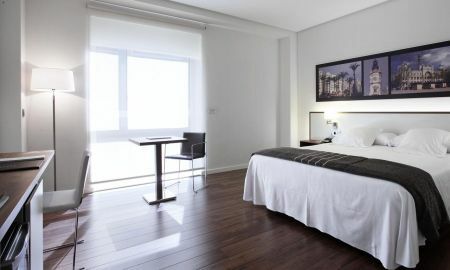 The Primus Valencia Hotel is 600 metres from the City of Arts and the Oceanographic of Valencia, opposite the Aqua Multiespacio shopping mall. 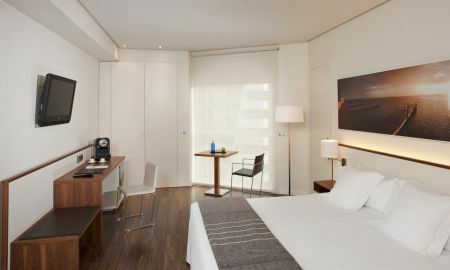 A bus stop to the city centre and to the beaches is just 75 metres from the hotel. We kindly ask you to introduce your passport number in the Special Request Box. A range of massage and beauty treatments are available at the hotel's spa for a surcharge. Guests are encouraged to book their SPA circuits before their arrival at the hotel. Swimming suit, swim cap and footwear are required to enter the SPA. Guests must be aged over 16 years in order to access the spa. During Christmas, the Spa and the restaurant have special opening hours. Spa Technical Stop: Please note that every six months the spa is closed for a few days due to maintenance works. Contact the property in advance to confirm the availability if you are interested in using the spa facilities. Swimming Pool opens all year long.